Our English Language Program has steady volunteer opportunities during the morning as well as sporadic evening opportunities. English classes focus on providing a place for students to consistently and comfortably develop the skills required to live and work in the United States. Students range from pre-literacy learners to preparing for the GED. This wide range of learners over four classrooms gives volunteers an opportunity to connect to students and create meaningful relationships. Assist English teachers and students in our English classrooms. Assist the lead teacher in preparing materials and everyday class activities. Work with small focus groups of students on particular skills as directed by the lead teacher. Questions? 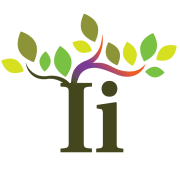 Please contact Faith Loggers-Jamnik at FLoggers-Jamnik@iimn.org.